I have been trying to get more face masks into my beauty routine but always get put off by the mud type ones as I find them rather messy, and for me it takes up a lot of time to do just one mask (I always manage to get the mud ones in my hair!). This mask is a clear consistency, apply on dry cleansed skin and wait just 10 minutes before washing off. After about 5 minutes you can really start to feel the mask working with a tingling sensation. For me I apply a thick layer all over my face, apart from my cheeks as they can be a little dry and sensitive and the masks makes your face turn a little pink. This is probably down to the percent of glycolic acid in the product. 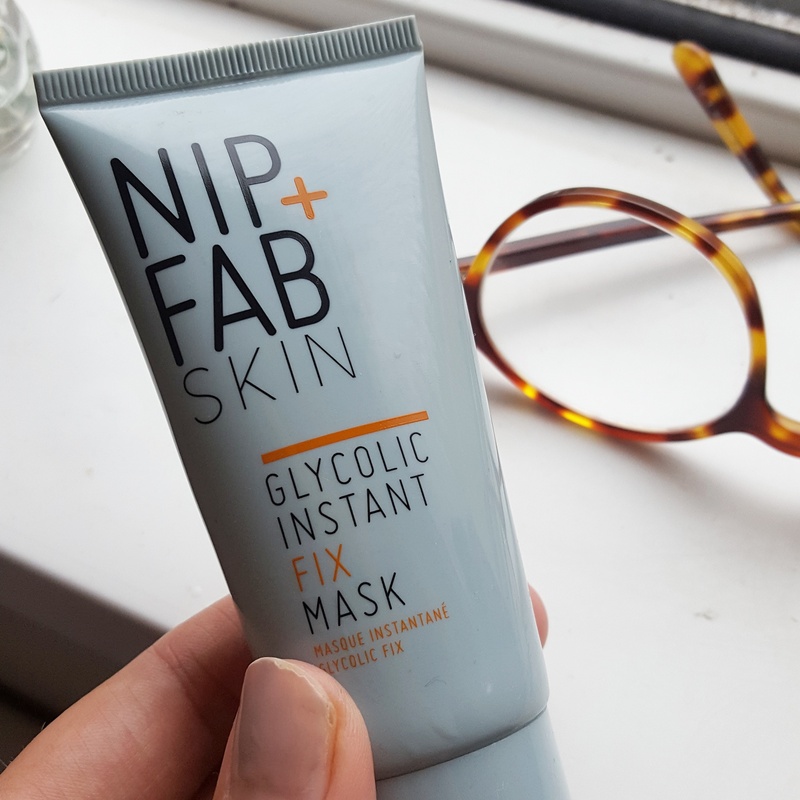 This Nip and fab mask leaves my skin really smooth and helps even out my skin tone (after the pink and redness has faded) whilst minimising the appearance of pores and is a great mask for when you don’t have a lot of time. I don’t think this would be very good for people with very dry or sensitive skin all over their face due to the acid, but obviously always carry out a little patch test before you apply to your whole face. Aww thanks! Yes I would say this would be abit too much for sensitive skin but worth a patch test! I find it makes my cheeks red but my forehead, nose and chin I can use a nice thick layer!